Alright, so you’re ready to buy a new door or windows but don’t know how you’re going to pay for them? No problem! 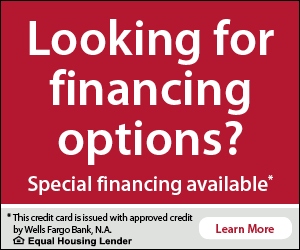 Universal Windows Direct offers some of the most competitive financing options that are available. Financing is available in 12, 18 and 36 month increments through Wells Fargo, and, with approved credit, you’ll be ready to give your house that “new glow” in no time.